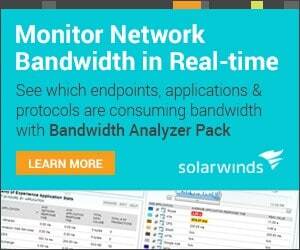 Best Application Monitoring Software for Windows/Linux/Unix & MORE! Every business today seem to be laser focused on IT infrastructure. From increasing storage, expanding networks and virtualization. It comes as no surprise that servers and applications will also be greatly improved and managed. After all, they run at the very core of data centers and businesses rely on them in order to meet bottom line goals. Organizations depend on monitoring tools to ensure that the basic infrastructure items are optimized and functional. Below your find a Quick description and screenshot of each software as well as some of their main features. 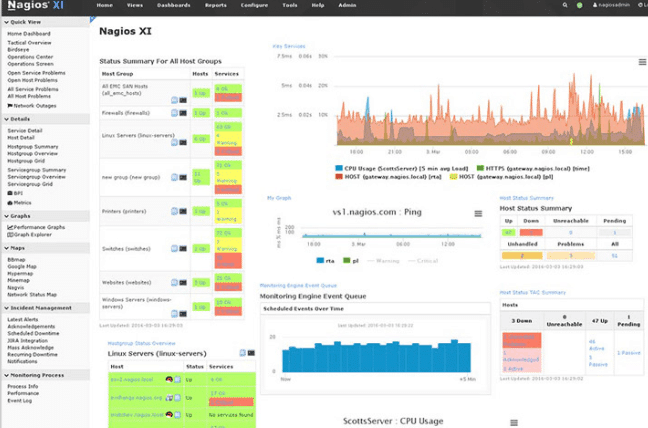 Server and Application Monitoring provides admins with tools to monitor critical servers and applications. They keep a watchful eye on the specific vital signs unique to each application. SolarWinds’ AppInsight is a newly added feature to its SAM and it simplifies the overall monitoring and alerting experience for complex software systems like Exchange and SQL Server. The dashboards provides an overview of all critical items which makes it easy for users to determine which systems and applications require attention and which ones are working properly. It shows all the important information about the environment including current application status, server warranty status, server hardware health, applications that are currently down, applications currently having issues, processes utilizing high amounts of CPU, and any recent events. Dashboard items are easily navigated and analyzed by simply hovering the mouse pointer at each application name. 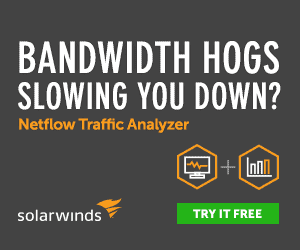 SolarWinds provides a highly detailed and structured approach to application monitoring which results in lower resolution times on outages and users will be able to identify potential issues more quickly. Pricing starts at $2,995 which enables 150 individual monitors. 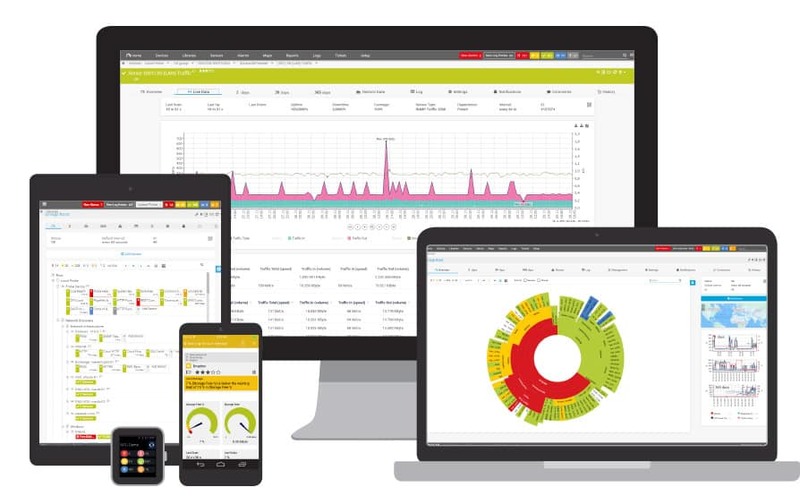 The Paessler PRTG Network Monitor, developed by German tech company Paessler AG, is a unified infrastructure management and network monitoring solution. 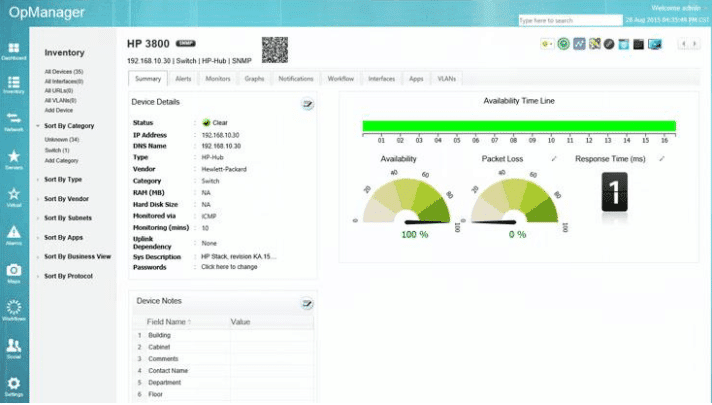 It provides visibility on individual alerts and performance counters giving a quick overview of the entire network. 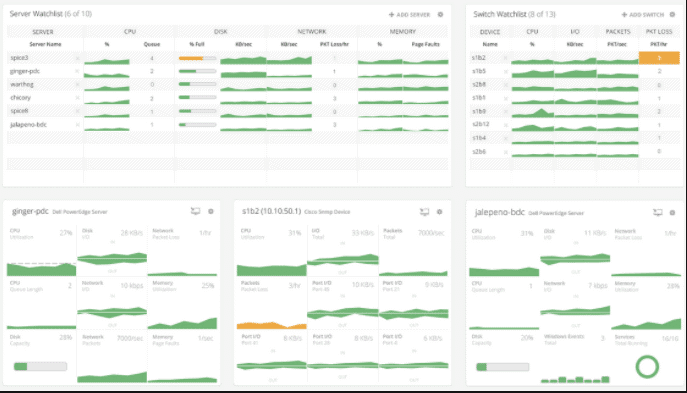 The PRTG Network Monitor allows users to monitor network devices such as switches, routers, and access points, as well as infrastructure such as servers, storage, workstations, applications, and services. It displays a modern dashboard with analytics-style graphs with a streamline menu and a very responsive UI, meaning it optimizes itself for whatever device is being used to access it (desktop, tablet, smartphone). It works as one core server along with probes deployed throughout the network. The core server installs a local probe as well as a proprietary database, web server, report engine, notification and other key features. The PRTG Network Monitor uses probes to monitor the network and identify devices and services users may wish to begin monitoring. As devices are discovered, probes enumerate the services and hardware it can monitor, it will then add the devices to the dashboard. Users can create groups to form collections of similar devices in order to configure settings once for an entire group of devices. Templates are provided to help users set up quickly and reports can be customized to a specific security context to prevent users overreaching their permissions. The software also provides recommendations from sensors based on network scan results. Each data point requires a sensor, which can be monitored or ignored as needed. Administrators can add, pause or remove sensors depending on network requirements. A free version of the software is available but is limited to 100 sensors. The licensing is based on sensors, not agents. And each device will require between 5-10 sensors to fully monitor the device. The PRTG Network Monitor can be purchased for a one-time cost of $1,600 for 500 sensors. ManageEngine offers a variety of products aimed at IT management including hardware, software, physical as well as virtual infrastructure. The software begins at $1995 and is good for up to 50 devices. 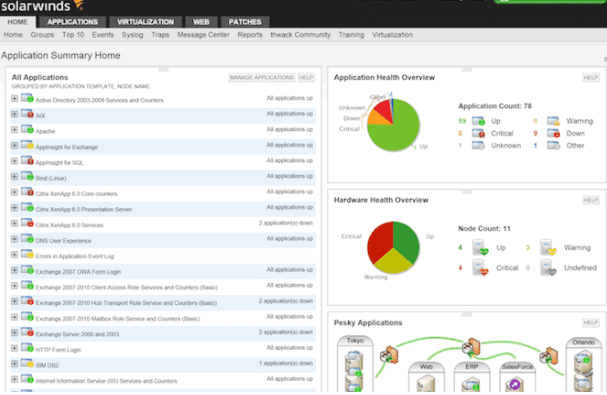 It provides coverage for infrastructure management, network monitoring, and application performance management (APM). The OpManager Applications Manager plug-in brings a long list of supported commercial applications. Its PitStop website feature provides searchable, user-contributed content that includes downloadable scripts and templates plus a Q&A forum. The OpManager dashboard is highly configurable and easy to navigate. The default page comes with widgets including several with sample data to give users a feel for the types of information that can be displayed. Users can simply click and drag the widgets to arrange them according to preference. They can also add and remove it with a few clicks. It also comes with over a hundred reporting profiles. Custom reports can be quickly created from the main page. Reports can be scheduled and then automatically emailed in either PDF or Excel format. A free edition of this tool will allow users to perform basic monitoring of up to 10 devices for a single user. Overall, the OpManager contains features that manage applications, infrastructure and networks. It has a good selection of features for IT generalists. Starts at $715 and goes up from there depending on devices, see full pricing below. Administrators can create reports that provide a birds-eye view of the entire network, its databases, configurations, traffic and performance. It maps all devices and link connections. Nagios provides pre-configured templates and wizards to create comprehensive reports. All programs, processes and applications will be detected and monitored automatically. It also detects and alerts to any rogue computer it finds on the network. Nagios XI will email admins everytime it spots trouble. Users can set and classify alerts for all nodes connected to customize reporting. This results to an effective and efficient alert system. Its user interface is pretty straightforward and easy to manage. Administrators can import LDAP (Lightweight Directory Access Protocol) and AD (Active Directory). These servers can be configured to authenticate users. WhatsUp Gold can be described as a one-product-fits-all. It has broad support for customization, scripting, and management standards. The pricing starts at $1755 for up to 25 devices and it covers infrastructure management, application performance management (APM), and network monitoring making it one of the best choices out there for small to midsize businesses. WhatsUp Gold offers a web-based user interface and a Windows application for managing different aspects of the program. It includes a Layer 2 topology map that shows a substantial amount of detail such as system name, IP address and the port number connection on a device. Users can easily swap to a details view with a single click and see most of the same information in tabular form. There is a designated Problem Area tab that gives a quick overview of all devices that are down or with down active monitors. Notifications can then be sent through SMS message or email. Once installed, the WhatsUp Gold APM starts with a dashboard showing multiple application states (up, warning, down, maintenance, and unknown). The administrator can then modify the thresholds and alerts processes for each items. Customizable dashboards make it easy to keep track of all historical status reports. See website to submit Quote. Zabbix is being offered for free on a general public license. The source code is also open, allowing users to modify the program according to their preference. 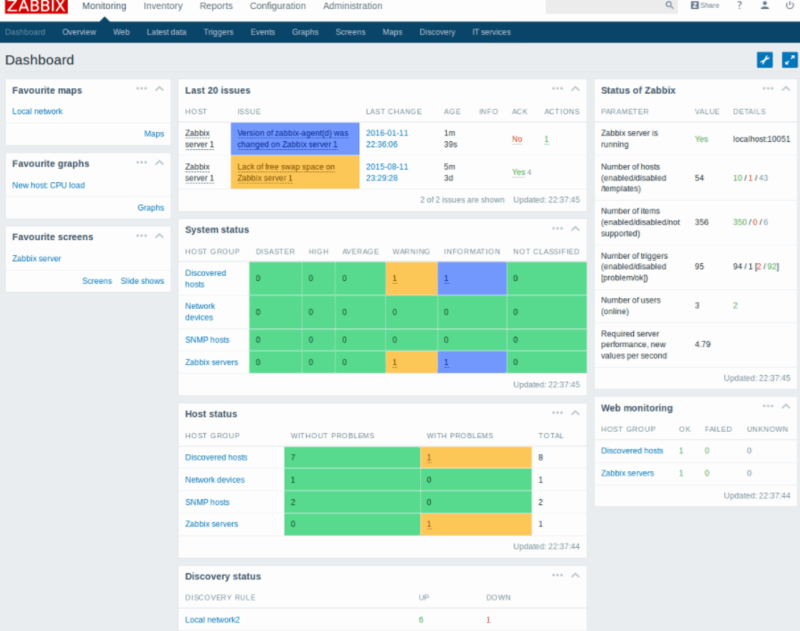 As an infrastructure management tool, Zabbix allows users to define monitoring hosts using pre-configured templates. It will then search the network and automatically discover virtual machines and hypervisors and then set up specified monitoring hosts. This tool can easily scale up from a tiny environment with a handful of devices to organizations with tens of thousands of devices and applications. It can be used to gather gigabytes of monitoring data per day. After gathering data, it processes to produce graphs and charts in an easy-to use interface. Users can view as many graphs as they need in a single page. The interface is browser-based making it accessible from anywhere and supports 22 languages. Standard graphs are being produced on runtime. Users can view them by clicking Graph next to a specific time. Users can then create custom graphs that compare any data items in whatever visual format they prefer. Bar reports are also available. The tool also features maps. Users can select which portion of a map they wish to see in detail, and to choose data sets to include and ignore. Maps are highly configurable. They can be live and constantly updated. Zabbix can send alerts by email, text message or Jabber. It can also be configured to initiate help desk tickets whenever it encounters issues on the network. Some issues can easily be fixed by a simple refresh. Zabbix can be configured to execute simple scripts such as restarting a device. If the automated response doesn’t take care of the problem, the Escalations feature can notify engineers, network admins or the tech support team. Spiceworks Network Monitor is a well-featured, easy to use product that will nicely meet the needs of most small and medium-sized businesses. It has a free version but it comes with ads in the corner of the dashboard. By downloading Spiceworks, users can sign up to become part of the Spiceworks community. It adds extreme value as it includes a responsive network of experts to assist other members in case they get into any kind of IT trouble. The Spiceworks Network Monitor works with a full range of network devices that are supported by SNMP (Simple Network Management Protocol). It tracks infrastructure devices including I/O Rate, packets per second and packet loss. It also tracks servers and Windows workstations for CPU utilization, disk utilization, network data rate and packet loss, and memory utilization. Users can display those parameters graphically in expanded views. Users will find it easy to add devices and serves to the monitoring application. It’s as simple as clicking Add on the dashboard then identify the hostname or IP address. Click Connect and Spiceworks Network Monitor will start monitoring. 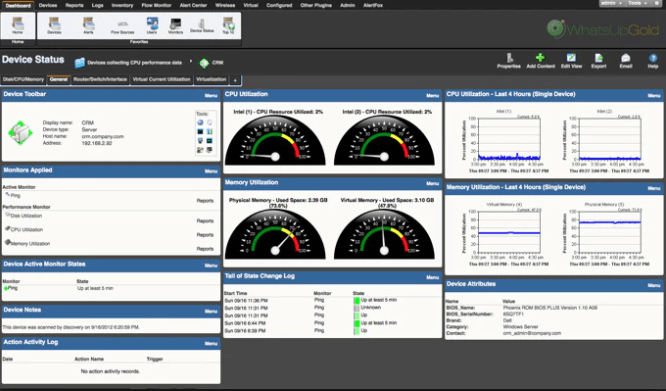 As each server or device is connected, a moving graphical display is added to the dashboard under the appropriate heading. For servers, the graph displays disk activity, memory use, CPU usage, and network activity. For network devices like switches, it shows the input/output rate, packets per second and packet loss. This collection of display is called the Watchlist. Users have the option to look at specific devices in more detail with the Critical Device Widget. Despite having impressive capabilities, it lacks scalability and some features are not fully customizable. One example is the alert threshold being handled on an overall basis but users cannot adjust individual settings which results in non-critical alerts being sent every time there is an event. 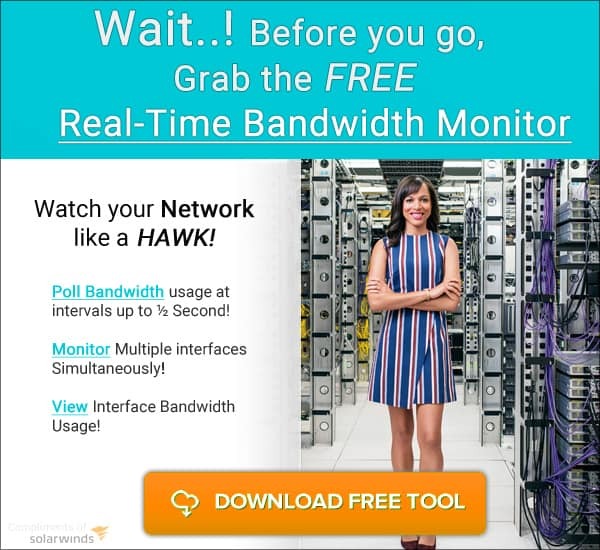 The Spiceworks Network Monitor isn’t the most complete network monitoring product available, but it’s remarkably functional for a free product.